It's the first Game of the Month for 2019, and boy has it been a tough one. January wasn't packed with new games, but a few heavy hitters did the business, making it a big month for PS4 players. It's safe to say that the year has started well. Ace Combat is back with a bang. Skies Unknown looks and feels great, combining arcade gameplay with some fantastic flair. Senior staff writer Stephen Tailby called it a "top entry" in the franchise, praising its "dramatic and slick" aerial action. "Whether you’re a diehard fan or coming to this game fresh, Skies Unknown is a joy, and a series highlight," Stephen concluded, awarding the roaring release an 8/10. The return of a much loved Japanese RPG that many Western fans never got to experience, the enhanced remaster of Tales of Vesperia reminded us of just how great Bandai Namco's long running series can be. We gave it a rock solid 8/10, dubbing it "one of, if not the best Tales game". We finished our review off with further praise: "Vesperia is a borderline classic Japanese RPG, and one that still holds up in 2019 thanks to a great cast of characters and some finely poised action." Wow, Kingdom Hearts III actually launched last month. Can you believe it? We're honestly still struggling. It's been a long time coming, but it was worth the wait according to reviewer Liam Croft. 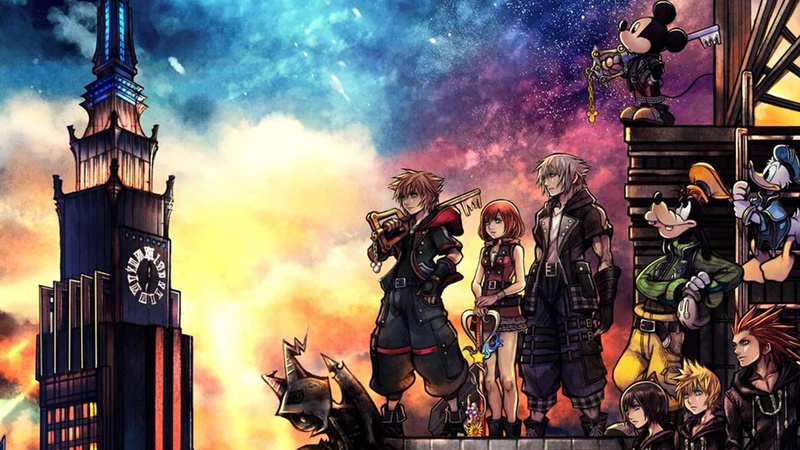 "The fact that Kingdom Hearts III even managed to release could be considered a miracle in of itself, but what’s perhaps even more surprising is that the finished product defies all expectations," he wrote. A big fat 9/10 for Sora and the gang. 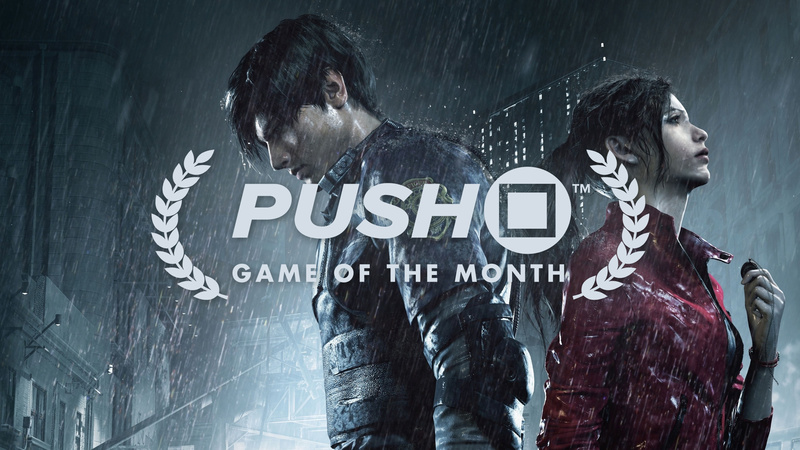 A remake of a PSone classic that's already being called a top-to-bottom masterpiece by many, Resident Evil 2 is one of the series' crowning achievements, and our Game of the Month for January 2019. Liam was on the scene again for this one, calling it "one of the most accomplished remakes of the generation". He closed the 8/10 review by writing: "Capcom has lovingly recreated every historic location and moment you remember from 1998, and you owe it to yourself to witness that spectacle first-hand." Capcom's on one heck of a roll right now. What was your PS4 Game of the Month for January 2019? Vote for your favourite in our poll, and then let your voice be heard in the comments section below. What was your PS4 Game of the Month for January 2019? How we decide our Game of the Month: At the end of each month, the editorial team put together a list of nominees. Nominees must have been released within the month, and they must have been reviewed by Push Square. We select nominees based on our own review scores. The editorial team then presents this list of nominees to the rest of the Push Square staff. Staff are asked to vote for three games that they think deserve to be crowned Game of the Month. First choice gets 3 points, second choice gets 2 points, and third choice gets 1 point. When voting closes, we tally the results to determine the order of this article. The game with the most points is our Game of the Month. Proof that REmake 2 is better than the measly 8 out of 10 that Push Square gave it. Both Kingdom Hearts 3 and Resi 2 have homes on my shelf since release, but I've been putting my times into Resi 2, so my game of the month is definitely the survival horror remake. I still need to finish Kingdom Hearts 3, so I can’t vote now. Resident Evil 2 was my fave Resi back in the day and this remake has absolutely nailed it.So glad this received the platinum award because it's perfect.Just finished Leons campaign so now straight onto Clares. Ace Combat 7 is the game I’ve been waiting for the last 10+ years. Bit rough round the edges especially in story but bang on in almost everything else. Especially the soundtrack. All Japanese games, well done. First few months of the year always seem to be the ideal time for high quality Japanese games. The only January game I own is Kingdom Hearts 3, so...I guess that wins. I did play the RE2 One-shot Demo and enjoyed it, though. I played both RE2 and KH3 the minute they released. Both very enjoyable games. KH3 gets the edge because I've been spending a lot more time with it. Resident Evil 2 is a sublime game! RE 2 is as perfect a remake as I could've asked for. I love the original release but the gameplay mechanics aged poorly, the modernization in terms of perspective and control was much needed and will now help it stand the test of time, which is a good thing because whether you're a longtime fan or a newcomer RE 2 should be experienced by everybody at least once. Resident Evil 2 is awesome. Great environmental soundscape and use of ambient music, a perfect mix of classic horror game design with responsive and modern controls, an excellent map that makes collecting everything a breeze, and a really impressive presentation. I still need to play Claire's B Route and then the other game modes, but it's already a heavy GOTY contender for me. I never played the original all the way through, so I might go back and boot up my PS1 copy of the game as well. RE2 was my first PS1 game and it´s by far my favorite RE game so i devour the remake in 3 days but saying it´s better than KH3 is just wrong, but i understand that RE is more main stream but you can´t compare it to KH3, during the game you can see how much care was put in this game all this years. 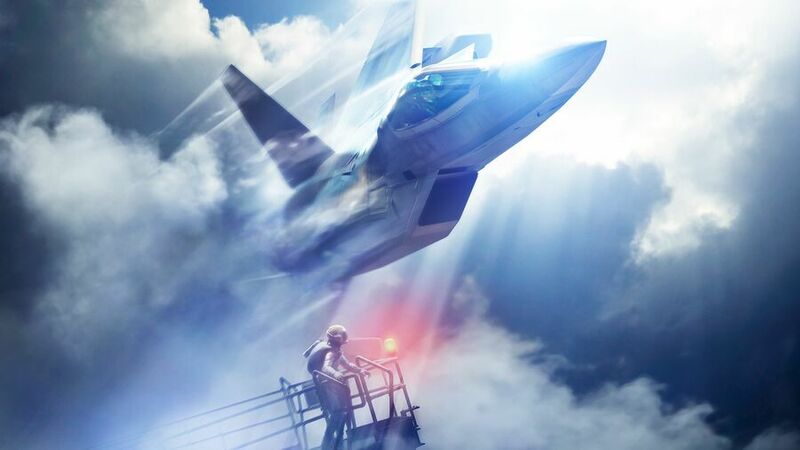 Resi 2 is fantastic but for me, this month nothing has beaten the feeling of flying through the clouds and dogfighting in Ace Combat 7. 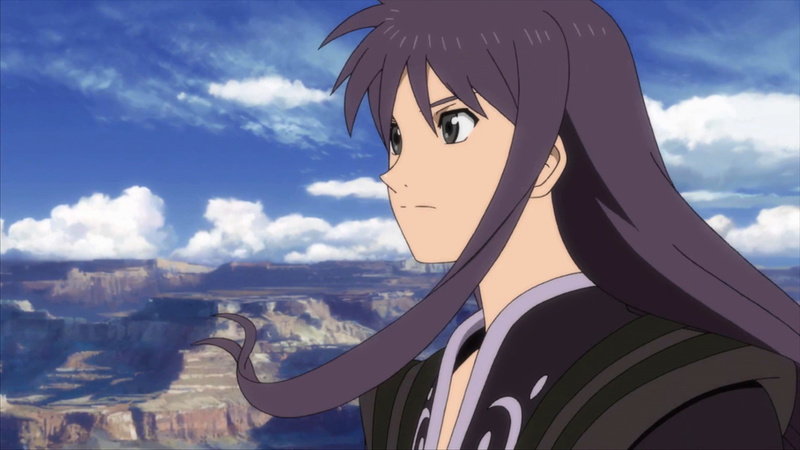 Tales of Vesperia is as brilliant as it ever was. Kingdom Hearts has been fun, but RE2 Remake has absolutely killed it in terms of fun and replayability. The mods on PC are keeping things fun and interesting as well! 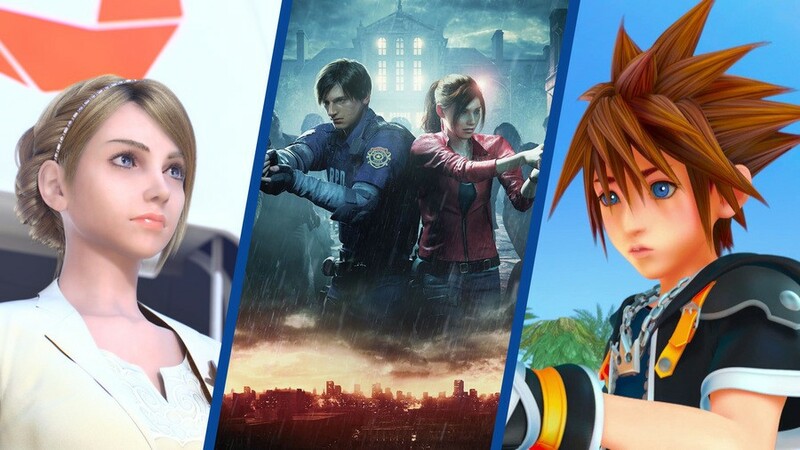 @GKO900 "prefer a REmake 2 with archaic gameplay"
Tales of Vesperia is one of my favourite JRPGs ever made, Kingdom Hearts III is my favourite JRPG since Persona 5 and Resident Evil 2 is based off my favourite game in the series. January 2019 has been phenomenal. Haven't bought and played any of them, but if I would: Ace Combat 7. That and Vesperia are on my wishlist, so. Best game for me this month, that I have actually bought and played: The Grand Tour Game. Well, it's the only new game I bought in January, but still, I've enjoyed every second of it. It's a unique and quirky thing for fans of the TGT guys. February is a bigger month for me, with both Monster Energy Supercross 2 and Dirt Rally 2.